You bid and got the job for 5000 steel boxes with black powder coating for your job shop. The bid is tight but if nothing goes wrong you can still make a profit. Then you are told the first batch just came through the coating process and someone forgot to change the filters so every part has dust marks on the sides. REWORK, with labor costs for material handling, scuffing each part for recoating, and re spraying the parts your profit has just gone away. Add the cost of all the stick on sanding discs and paying for the waste removal and the loss just mounts up. This is an all too common occurrence for many fabrication shops that do sub work for larger assemblers. You are still stuck with the rework but is there a solution to save time and consumable costs and lessen the loss? So you call your PFERD Solutions Provider. Most issues with coatings rework do not require a complete stripping of the surface. Actually due to some applications of anti-rust agents and sub coatings it is important not to strip the part completely. Often the requirement is to just dull the surface and re-apply the coating. This is where technology and procedures help save time and money. Stick-on sanding discs (known as PSA discs) fixed to a dual action sander have been the normal procedure for many years. The life of the discs are short because they load up on the paint material and require a lot of time to keep changing the coated disc. Some parts have deep scratches from the effect of a new disc. Some parts have lighter scratches due to partially used product and the effects of both parts are only known after a recoating. Some parts may require additional rework or be scrapped all together. More lost profit. 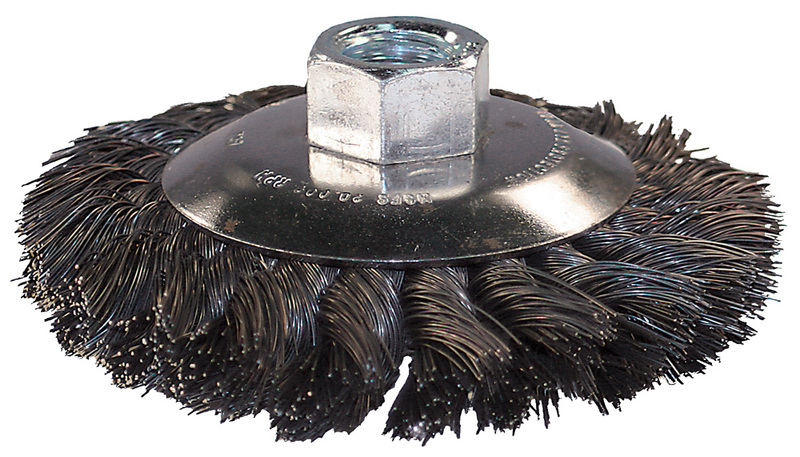 PFERD offers a 4 inch diameter product called the BEVEL brush. Using this brush on a conventional finishing machine at 4,500 rpm will strip the surface of the coated material with a consistent depth of scratch and pattern. The key is the angle of the brush to all surface contours. 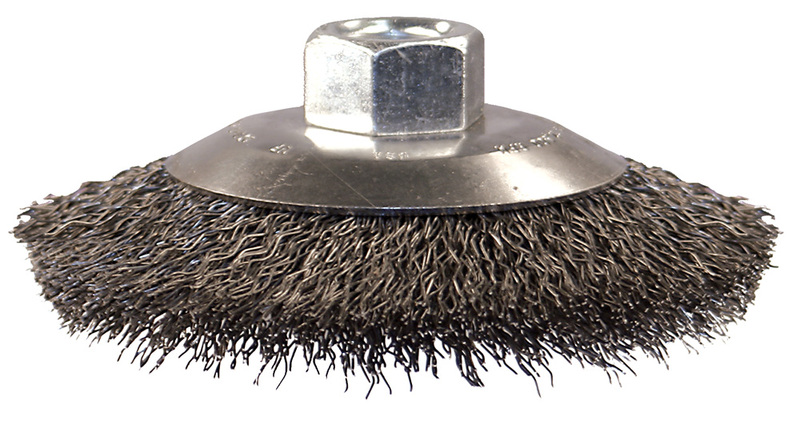 The BEVEL brush is angled to allow for contact on flat surfaces as well as fillet corners and outside edges. The speed is important to keep friction and heat to a minimum so the coating comes off as a powder and is not heated up to a liquid. The finish is consistent and the consumption of product is significantly reduced to offset some of the labor costs. With consistent results the risk of secondary rework is minimized. People often make a purchase based on the finish of the product. They will not pay for the rework required to get it right the second time. When it comes to saving time and money PFERD has the answers.